Parking Lot Sealer: How Much Does It Cost? September and (typically) most of October are great months to apply parking lot sealer, as long as temperatures do not fall below 55 degrees F. With commercial properties, budgets for paving, sealing, or line striping projects may have already been established at the start of the year. But, if you are planning your parking lot sealcoating project now, or for next year, it is important to understand about how much it’ll cost you so you can accurately plan and budget. Parking lot sealer provides a protective layer against damaging elements like UV rays, and spills. Parking lot sealer reduces the rate of water permeation to your asphalt, which is extremely important considering the damaging effects water can have on asphalt. 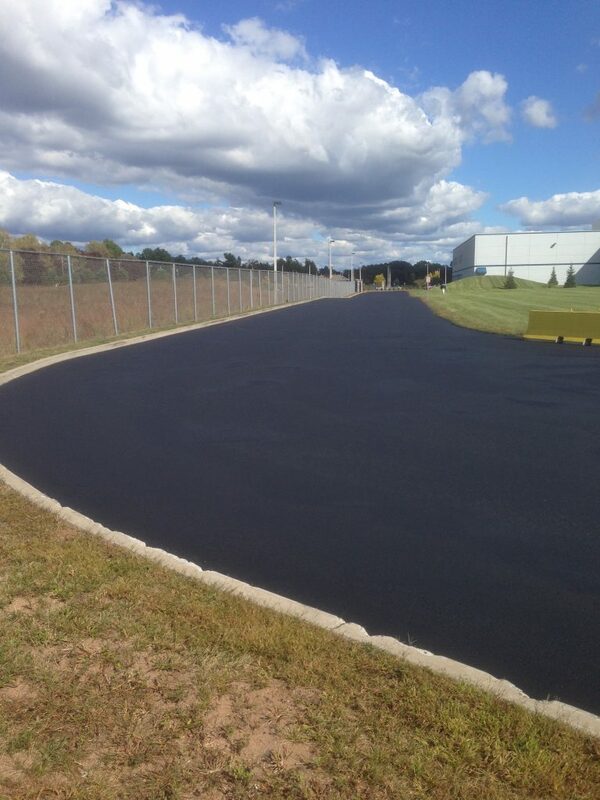 Asphalt sealer helps to increase the aesthetic appeal of your lot, giving it a fresh new look. Regular sealcoating can help to preserve and extend the life of your pavement. When it comes to pricing out a parking lot sealcoating job, there are a couple of factors to consider that can lead to varying total costs. The Size Of The Job – For typical large parking lot jobs like corporate lots, condominium lots, schools, shopping malls, etc. the average price per square foot of parking lot sealer application could run anywhere from 10-15 cents. Smaller job sites may see costs in a higher range, perhaps 12-25 cents per square foot. Number Of Trips – Depending on the type of traffic the lot sees, the number of trips it’ll take to get the job done may vary. When it comes to parking lots for busy medical buildings, hospitals or retail shopping centers (facilities that never close), it will take more mobilizations (or trips) to complete the project, which adds to the cost. Material & Methods – Your professional paving contractor will determine, based on your specific needs and desires, how many coats of sealer your asphalt may benefit from, by what methods the product will be applied (squeegee application, spray application, etc. ), and how many gallons are necessary for sufficient protection. Squeegee applications typically cost more than spray, as they have the ability of delivering more product to the surface. A heavier duty application could run closer to 25-30 cents per square foot. Additional Preparation – If you parking lot is not properly cleaned, has heavy dirt, overgrowing weeds and the like, those cleanup costs will be factored into your price. Like anything else, it’s all in the preparation! Sealcoat requires a clean surface to bond to the asphalt, so any steps you can take to keep the surface clean year-round will help when it comes time to seal. Parking lots that are sealcoated regularly are also easier to keep clean! 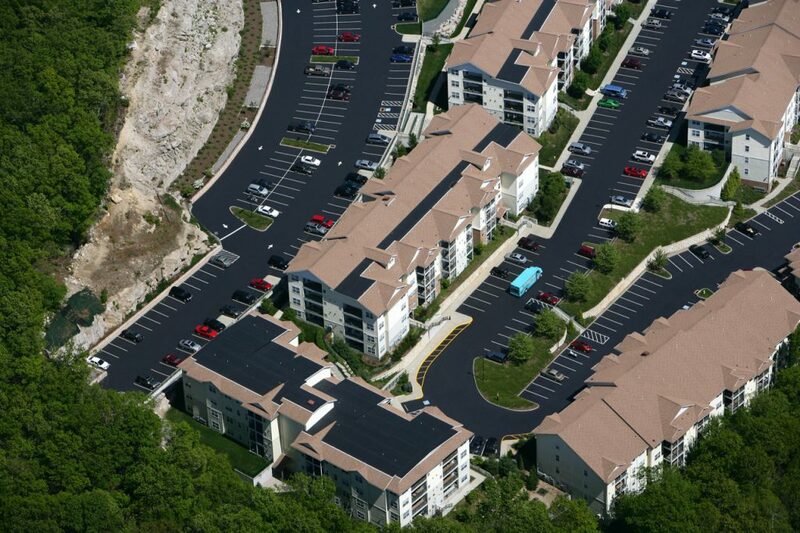 On average, a typical 25,000 square foot parking lot costs approximately $3,200 to sealcoat. You should plan to have your parking lot sealed every 2-3 years. When determining the best time of year for your sealcoating project, you’ll need to consider, weather in relation to overnight temperatures and humidity, daylight, and drying time. Additionally, before applying parking lot sealer, you will want to thoroughly inspect your lot and make sure to fill all cracks and complete additional repairs, and you will also want to make sure your lot is cleaned. Learn more about preparation for sealer HERE. After your lot is sealed, you will also need to re-stripe your lot. Find out the average cost of parking lot paint HERE. If you have not yet booked your sealcoating job, it is not too late. We still have several weeks of great sealing weather left in the season! Contact EastCoat Pavement today for your free parking lot sealer consultation!